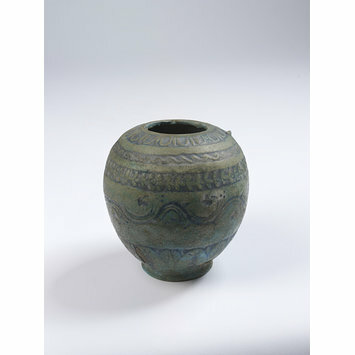 Buff earthenware vase, with decoration incised in a turquoise blue glaze, and filled with bright blue glaze. Egg shaped with small mouth. Decorated in horizontal bands successively (from the top), an avola border pattern, a wavy line, a band of trefoils, a wavy stem with berries, and a border of spear-head-shaped leaves. 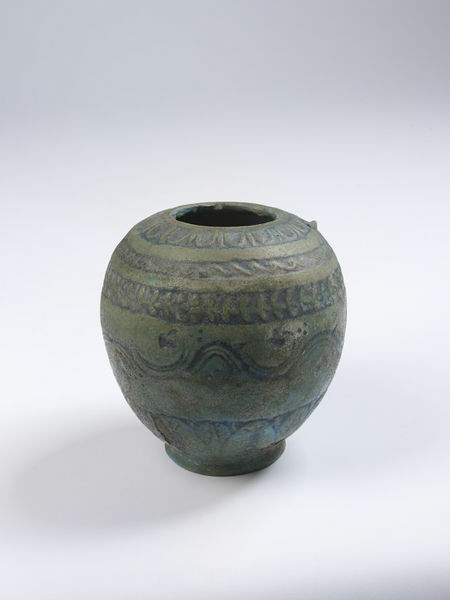 Buff earthenware vase covered in a turquoise and blue glaze, Egyptian, about 400 BC.